I like to invest in a good coat, even for my children. A nice coat makes you look and feel instantly pulled together and polished. And when I see my children lined up in their nice coats, I feel instantly like a mom who has her stuff together, no matter what kind of day I'm having. 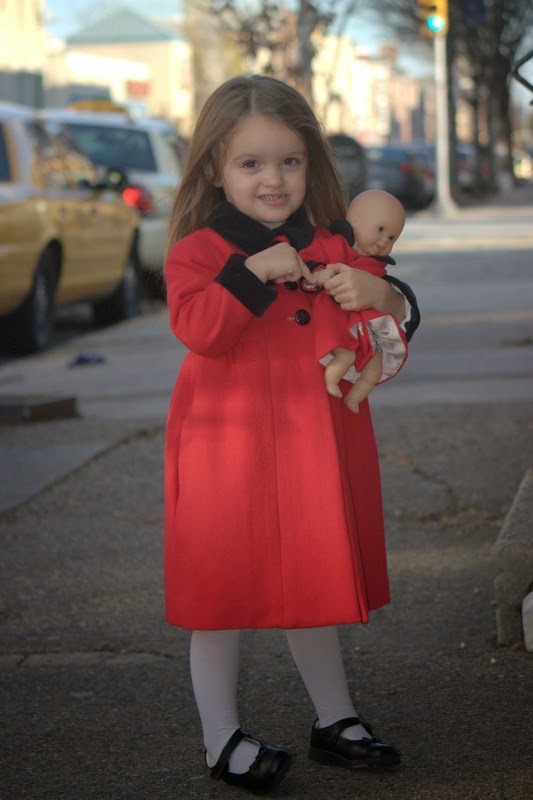 If you've seen Kitty and me around town, you've probably seen this little red coat. We get compliments every. where. we. go. Seriously. This is red wool with black velveteen trim. The coat is fully lined in Bemberg rayon and has a cotton flannel interlining for added warmth and structure. The black cuffs turn down for another year's wear. 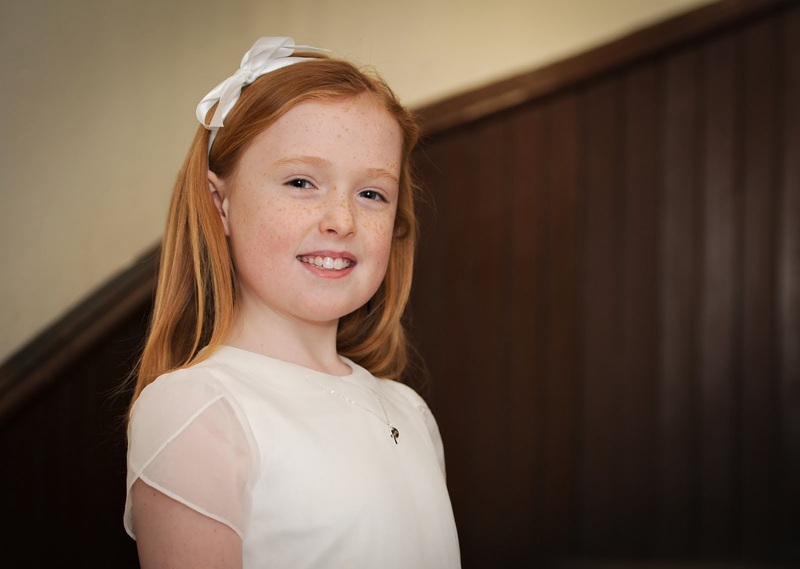 Wool is very durable and doesn't need to be saved for a special occasion. She wears it for everything but the coldest and messiest of days. From a cost and labor standpoint, a coat is very much like a dress. However, you get a lot more wear out of a coat, so it's actually a better value. This time of year, in fact, the coat is the only thing people see. My boys get nice coats too, always with room to grow and be handed down. Oh, and baby doll gets a matching coat of course. 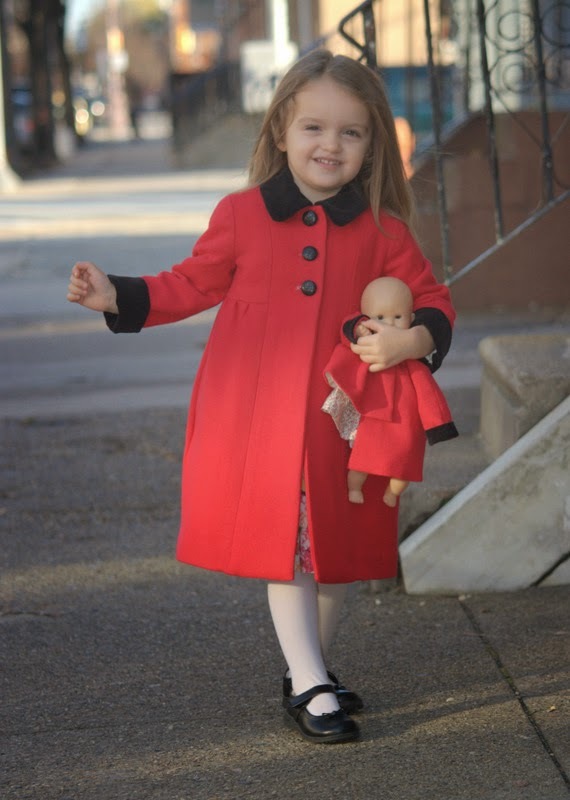 what pattern did you use for your darling coat? Hi Jennifer, it was a Simplicity project runway pattern - very well drafted.